The observations were backed by decades of clinical studies, too. As far back as the 1920s, nutritionists were showing that feeding meat to subjects caused them to excrete more calcium in their urine. Theoretically, this is because protein has an acidifying effect on the blood. Calcium is leached from the bones as part of the process that neutralizes blood and restores its normal pH. Calcium is released from the bones and excreted in the urine all of the time anyway; bones are dynamic and are constantly breaking down and rebuilding. That’s why we need to consume calcium even when bones aren’t growing. But anything that speeds up calcium loss—like a diet high in animal protein—might make it hard to consume enough dietary calcium to rebuild bones. So, rather than a disease of calcium deficiency, it started to look like osteoporosis was a disease of excess—too much animal protein. And it seemed logical that vegans, who don’t consume any animal protein, would lose less calcium and therefore need less in their diet. End of story? Well, unfortunately, not quite. The studies comparing hip fracture rates among countries were ecological studies. They show interesting associations but, given the many variables among different countries and cultures, it’s hard to draw real conclusions. For example, Asians have a slightly different hip structure than other ethnic groups which makes it more resistant to fracture. That might explain why Asians have fewer hip fractures than westerners but have similar rates of spinal fractures and also similar bone density. There are also geographic and cultural explanations for the differences in hip fracture rates. Falling is a big cause of hip fracture and for a number of reasons, Asians fall less often than Westerners. The comparison also doesn’t control for physical activity, which is very protective of bone health, or for childbearing. Women in some of the countries in the comparisons have many more pregnancies than westerners, and there is some evidence that pregnancy improves bone health (although not all studies agree about that). Recent clinical trials have also cast doubt on the theory. It’s true that protein can increase bone turnover, but it also appears to increase calcium absorption from food. Some research suggests that the increased absorption could easily compensate for the calcium lost from the skeleton. A number of studies have shown that higher protein intake has a positive effect on bone health when calcium intake is adequate but not when calcium intake is low. The research findings are not in 100% agreement but for the most part, they just aren’t supportive of a lower calcium recommendation for vegans. That can be kind of discouraging, I know, but vegans need to know where we really stand regarding calcium needs. It’s unfortunate that some activists continue to promote the myth of lower calcium needs as part of their argument for a plant-based diet. Does anyone actually believe that giving vegans inadequate information about calcium helps the cause of veganism and animal rights? But while we may not know exactly how much calcium we need, there is currently no good evidence to suggest that vegans require less than anyone else. This is another situation where basing recommendations on outdated science and wishful thinking just isn’t fair to vegans. And that’s not fair to the animals who depend on us to show how healthy a vegan diet can be. OK, so vegans should eat just as much calcium as everyone else. But do you still think that osteoporosis is a disease of excess animal protein combined with a calcium-deficient diet? I find it curious that some vegans trumpet the facts that vegans are less likely to develop diabetes, high blood pressure, heart disease and cancer, but somewhat ignore the fact that bones matter, too. Of course avoiding the main diseases of Western affluence is great, but it's also important to avoid osteoporosis….ever watch somebody die the slow and painful death from brittle bones?! Everybody needs calcium…and it is harder, though of course not impossible, to get all of it through a vegan diet alone compared to an omnivore one. Vegans should be careful to be sure they get enough; I would advocate getting a bone density test (and getting regular exercise) to make sure your bones are OK and taking supplements in addition to a very careful diet…. Still would like to know, however, how much calcium is "enough". I don't trust the dairy industry and I'm not sure that current data from doctors is accurate. Its probably not a good idea to fully trust ANY industry for nutritional advice. This includes the soy industry and for that matter the almond industry, since we’re talking about calcium here. Looking at unbiased studies and/or getting a BMD test periodically will tell you if you are on the right track. I depend on largely on almond milk (30% of RDA in a cup) and leafy greens like collard greens, spinach, kale and swiss chard to meet my calcium requirements. Is there any plant superior to collards for calcium? If there is, I haven’t found it. I find it curious that you think vegans aren’t concerned about their bones when there is more chance of them having healthier bones than omnivores. I had well below the RDI for dairy milk when I was growing up, yet when I had a bone density test done at the age of 37 I had a bone density as good as a 20 year old! I had also not broken any bones from falling off horses at high speed, when I’m sure other people would have. Thanks for posting this (and all your other posts too), Ginny. 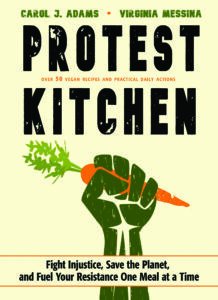 I think accurate information is the best thing for veganism. Thank you for your explanation. I understand that vegans just like everyone else need 1000 mg, but given the amount of research that was done connecting higher protein intake with higher rates of calcium loss, do you think that theory still stands? Maybe there is narrow range of protein that we should consume to maximize absorption and avoid creating an acidic environment where calcium would be lost. And what would be that range? Thanks for these comments everyone. To clarify—it’s true that higher protein intake is associated with higher excretion of calcium in the urine. What the research is showing, however, is that the increased absorption of calcium seen with higher protein diets may offset the calcium loss. And when calcium intake is adequate, higher protein intake may even be beneficial. What the bulk of the research suggests is that protein is harmful to bones only when calcium intake is too low. That doesn’t suggest that it’s okay to eat a low-calcium diet if you keep protein intake low, though. For one thing, the particular amino acids (SAAs) that are allegedly responsible for the acidic effect of high protein diets may be just as abundant in vegan diets as in omnivore diets. This is because grains are relatively high in these SAAs. The thinking now is that the lower net acid load of vegan diets could be due more to a high intake of fruits and vegetables than a low intake of protein. So the best case scenario is to get enough protein and enough calcium (and lots and lots of fruits and veggies). But what’s enough? Some of the clinical studies used very high amounts of protein—higher than what even most omnivores would normally consume. In my own diet, I aim for the calcium RDA of 1,000 mg per day (mostly from tofu, leafy greens, hummus, fortified orange juice and supplements) because—well, why not? Even if it’s more than what we actually need, there is no downside to doing so and why not err on the side of caution? For protein I try to get between 65 and 75 grams per day or around 12 to 15 percent of my calories. With a lack of good data on how much is ideal for bone health, this just feels like not too little and not too much. This is all an active and very conflicting area of research and I expect that I’ll be forced to tweak my own recommendations as more data become available. For now, I’m sticking with lots of calcium and a generous intake of protein-rich plant foods. I agree with you that those studies from the 1990s seem too good to be true and are used a bit like a blank check. I also appreciated the recent post you made about how to evaluate nutrition information. Particularly the point that a few studies do not mean much in the grand scheme of facts. It is what is found to be the case, over and over again over time. The theory dates to some interesting research from the early 1990s which found that hip fracture rates among different countries increased as per capita protein intake went up. The observations were backed by decades of clinical studies, too. As far back as the 1920s, nutritionists were showing that feeding meat to subjects caused them to excrete more calcium in their urine. I don't mean to be contrarian, but the way your quote is written it sounds very substantial for the point you are arguing against. A number of studies show a correlation, which seems to make sense from decades of clinical trails going back the better part of a century? Again, how many ( and how significant) are "some" and "a number of"? More than the "some" of the point you are making a case against? Logic isn't enough with biological systems, you have to verify stuff with experiments, but having said that how is the observation that increased protein intake increases calcium uptake exclusive with the observation that animal protein consumption accelerates calcium excretion? What kind of protein was used in these experiments? Assuming both sets of observations are facts, and both sets can be facts, all that would mean is that if a person chooses to eat animal protein that it would behoove them to increase their calcium consumption to balance that out. Again, as you would point, this is all supposition which means nothing without experiments. The U.S. population has one of highest animal protein consumption ( and protein overall )rates in the world, which includes calcium rich dairy products. Many Americans also take calcium supplements. That high protein consumption may inspire a potentially higher calcium uptake, but it doesn't seem to be happening for actually preventing osteoporosis. 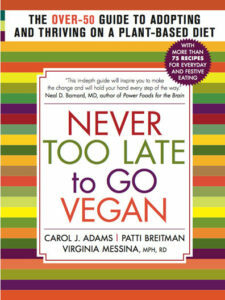 "Quite a few popular vegan websites and books make the claim that vegans don’t need as much calcium as omnivores." Yet, a quick google search for "vegan calcium" turns up mostly websites that recommend that vegans consume as much calcium as nonvegans. Why build up a straw man? Why not simply present the evidence you have and make a case for eating foods that are rich in calcium? Even if you're right and many popular websites suggest that vegans need less calcium than nonvegans, new vegans don't know or care about the history of vegan nutrition debate; they just want good, useful advice now. So why not just offer that? Beforewisdom, I accidently deleted your second comment because I thought the same one had posted twice. Sorry! But thanks for some interesting questions. Regarding the early 1990s ecological studies: there are two of them, but it doesn’t really matter. We could do those studies over and over again and get the same results and it doesn’t change the fact that they show basically nothing about the relationship of protein intake to bone health. There are too many other factors that make it impossible to draw real conclusions. Some of the more recent clinical studies that showed increased calcium excretion with higher protein intake used isolated proteins (like casein). Studies using whole foods haven’t always shown the same harmful effects with higher protein intake, although some of them did. But again, they looked at the relationship of protein intake to calcium excretion in the urine—not bone turnover or calcium balance. When we look at the latter two things, we have to start questioning the idea that protein might be harmful to bones. Protein has a number of potential beneficial effects on bone health. So if it also increases calcium absorption enough to compensate for any losses, then it's reasonable to theorize that the overall effect of a protein-rich diet might be beneficial. Or at the very least, that it is not harmful. So this counters the idea that people who eat more protein need to eat more calcium. I’m not necessarily suggesting that vegans should eat a high protein diet, though. I want only to point out that it is not responsible to say that vegans have a lower calcium requirement because of their lower protein intake. This is the best evidence we have right now. It’s not perfect (every study has limitations) and it’s not the final word. But it does counter what we used to think about calcium needs of vegans. As for the poor bone health of a large number of Americans, most of whom are omnivores eating a high protein diet—well, that doesn’t translate to proof that protein is bad. There are lots of bad things about the standard American diet. One reason for the generally poor bone health of Americans could very well be a chronically low intake of fruits and vegetables. Elaine V, I didn’t say that all vegan nutrition resources advocate low calcium requirements for vegans. Showing me that some groups like http://www.veganhealth.org and www. vrg.org make appropriate recommendations (I’ve already said that these are the two best sources of reliable vegan nutrition information on the web) doesn’t really counter my point. In fact, there are some very popular sources of vegan nutrition (on the web and in print) that continue to promote the myth of lower calcium needs for vegans. (You might want to look at this post on Jack Norris website). Understanding the historical context of those recommendations is actually important to understanding why the things we once believed about calcium are now questioned. 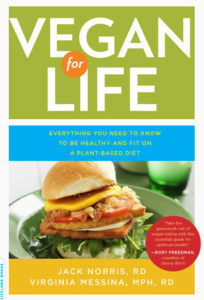 I think it might be helpful in particular to new vegans to know this since they might be confused about the different recommendations coming from different sources. I also don't think we should underestimate that many Americans don't exercise, and weight bearing exercises probably help with bone density and bone health, no matter what diet is being consumed. I agree, vegans shouldn’t claim that we need less calcium. There are so many health myths and spirituality claims made by health orientated “vegans” and “vegetarians” (often the most inconsistent practitioners) that there’s not much that can be done about it other than what you are doing, and I really do appreciate your voice and credentials on these sorts of issues. The lower calcium notion isn’t the worst offender by any stretch, but at some point, rational minded vegans can’t be expected to go around correcting every single outrageous claim made by plant-based diet enthusiasts that play loose with facts or just flat out believe in woo. I don’t think this issue is a strawman, there are a few places where this idea persists. There is value in not just offering calcium recommendations to new vegans, but also in calling out that some sources of information isn’t considering the totality of evidence. People may read two conflicting recommendations so an explanation as to why one interpretation of the data is more prudent is beneficial. 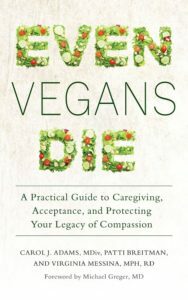 While I agree that the evidence doesn’t bare out that vegans have a calcium advantage, on the other hand, the recent vegan Buddhist nuns study doesn’t seem to make calcium an issue that vegan’s should be any more concerned about than non-vegans. Okay, it’s one study, but it’s with real people, not lab animals or two week diet studies with humans that derive conclusions from a few changed biomarkers. It’s with Asians, but it’s an Asian to Asian comparison, not comparing Asian with Westerner. Also, Buddhist nuns don’t seem like the pregnancy-protected type. We also have the cloud of information you have cited in your post and follow-up comments that don’t offer clear-cut answers either way. Yet, vegans hear it all the time that our bones are going to disintegrate from calcium deficiency — code for milk deficiency — but there isn’t good evidence for that either. People who don’t drink cows’ milk don’t seem to be any worse off as far as bone density, which seems to make the emphasis on calcium from cows’ milk superfluous. It certainly isn’t preventing osteoporosis in the dairy obsessed West. But we told by our government-subsidized industry in the United State that people are doing it wrong; they need to consume more dairy. This is bizarre because the reason non-vegans claim that it’s too difficult to be vegan is because dairy is everywhere and impossible to avoid in the American diet. It’s suspicious and I want my tax money back. Why am I financing multi-million dollar ad campaigns to be told that cows are happy to be exploited in California and for celebrities to wear milk mustaches? 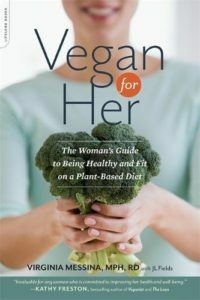 The concerns of bone health are not specifically vegan concerns so I disagree, as Elaine states, that “it’s harder” for vegans or that vegans need a “very careful diet” anymore so than anyone else. I see plenty of non-vegans where it is abundantly evident that it’s hard for them to eat properly and they really could stand to follow a very careful diet. The inclusion of animal products doesn’t seem to offer any better bone health protection. The overemphasis of coveted animal protein as the first and last stop in macro nutrient considerations tends to undermine healthier eating patterns for many non-vegans. I have been eating mostly raw and vegan, but also take a calcium, magnesium, and zinc supplement. Not every day, but a few times per week. I eat a wide variety of fruits, vegetable, nuts and seeds, and still eat eggs and fish on occasion. I don't want to miss out on any essential nutrients, and make sure I exercise each day. Many celebrities are eating vegan and look great. For example Demi Moore and Jon Mack. Do your research, stay active and pay close attention to how your body/health reacts. Interesting question that Beforewisdom had about protein source. It would be interesting to see if type of protein – animal- or plant-based – had an effect on bone health. Although maybe it would be challenging to isolate that factor specifically; people getting most or all of their protein from plant sources might be doing other things differently, too. Some studies have turned up a relationship between high calcium intake and prostate cancer, e.g. LOL, that's funny! The Stawman was a projection! Because Elaine, who seemed to have a need that day to violently disagree, with anyone, for whatever reason, invented the strawman of sites which conveniently *do not* make that claim:-) It's a strawman, because there are plenty of sites *which do* claim it, and I remember coming across that argument many many times. how much calcium supplement should vegans take? bit excessive? How much calcium would YOU suggest per day given my circumstances? I don’t know that 1500 milligrams of calcium is excessive. I would try to get as much as possible from food though, as opposed to taking large doses of supplements.